Helios & Matheson Analytics, a majority owner of theatrical subscription service MoviePass, Feb. 12 announced that MoviePass had, in the last several weeks, signed multiple contracts on both per-title and slate-wide bases with several Hollywood studios and independent distributors. “With the introduction of these new services, MoviePass delivers on revenue beyond its base of more than 2 million subscribers, allowing studios and distributors to more accurately target spending for advertising, reach the right audiences more effectively, and identify the most effective markets for special events,” Helios & Matheson stated in a release. The relationships with studios and distributors are currently producing revenue in the following areas, the release stated: advertising and consumer turnout, A/B testing of sales of DVDs and streaming with similar content, a suite of services for A/B testing for marketing creative, audience attribution, and exclusive fan-based events. Additionally, studios utilize MoviePass platform marketing techniques such as email marketing, targeted push notifications, custom premium title placement within the MoviePass application, and other features based on individual MoviePass subscriber movie-going behavior, the release stated. Exhibitor benefits when partnered with MoviePass include priority theater placement in the MoviePass application, e-Ticketing — no MoviePass card needed — box office purchases, and marketing opportunities within the MoviePass application. Bernadette McCabe, SVP of exhibitor relations and business strategy at MoviePass, has been spearheading strategic initiatives to educate exhibitors about the service that MoviePass provides, according to the release. 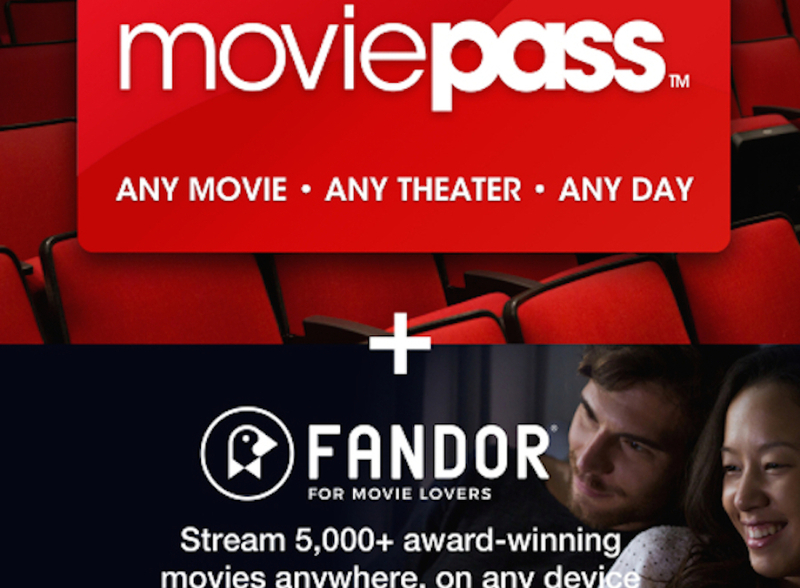 In other MoviePass news, the theatrical subscription service announced a new bundle with streaming service Fandor. The annual offer lowers the MoviePass monthly price from $9.95 to $7.95 and is coupled with an annual Fandor subscription. Subscribers who sign up will be billed $115.35 ($7.95 a month plus a $19.95 processing fee) and will receive one full year of MoviePass and one full year of unlimited streaming from Fandor. Fandor streams more than 5,000 movies from around the world from more than 500 genres that include Hollywood classics, undiscovered gems and festival favorites, according to a MoviePass release. Helios and Matheson, corporate owner of theatrical ticket subscription service, MoviePass, Feb. 8 announced the service now has more than 2 million subscribers – less than two months after surpassing 1 million subs. The New York-based $9.95 monthly service enabling subs access to one theatrical screening per day, is on a full-court offensive to gain traction among moviegoers. In addition to reaching critical mass, MoviePass aims to convince theater operators into entering revenue-sharing agreements, among other business deals, arguing its service is driving cineplex foot traffic. With the service obligated to pay major exhibitors full price for any tickets redeemed, Wedbush Securities analyst Michael Pachter contends MoviePass – absent any discounts – has to reach 2 million subs to break even. Helios and Matheson Analytics – corporate parent of MoviePass – Feb. 6 announced the subscription theatrical ticket service has generated $128.7 million for select Oscar-nominated since last November. In addition, it claims MoviePass contributed 5.7% to the total nationwide box office. In addition to offering subscribers access to one theatrical screening daily for $9.95 monthly fee, MoviePass is banking its survival — and offsetting theatrical disruptor mantra — on moviegoer data. Information, it can market and sell. The service said it contributed significantly to the nominees, keeping attendance up past opening week. It said the percentage of domestic revenue generated for Best Picture nominees, included Call Me By Your Name (8.79%), Lady Bird (6.18%), Three Billboards Outside Ebbing, Missouri (6.89%), The Shape of Water (7.87%), and The Post (5.57%). MoviePass also contributed 11.48% for I, Tonya, and 7.57% for The Square. Ted Farnsworth, CEO of Helios and Matheson Analytics, which acquired a majority stake in MoviePass in 2017, contends the service contributed 4.6%, 5.6%, and 5.7%, respectively, over the past three weeks to total nationwide box office. “I believe we can serve as a catalyst for success in the entire movie industry,” said Farnsworth. NEWS ANALYSIS: Wall Street loves scuttlebutt. Rumors and speculation make stocks do crazy things. On the morning of Jan. 30, shares of Helios and Matheson Analytics, majority owner of theatrical ticket subscription service MoviePass, edged up slightly (2%, the day after rising 9%) on talk Netflix is an interested suitor. 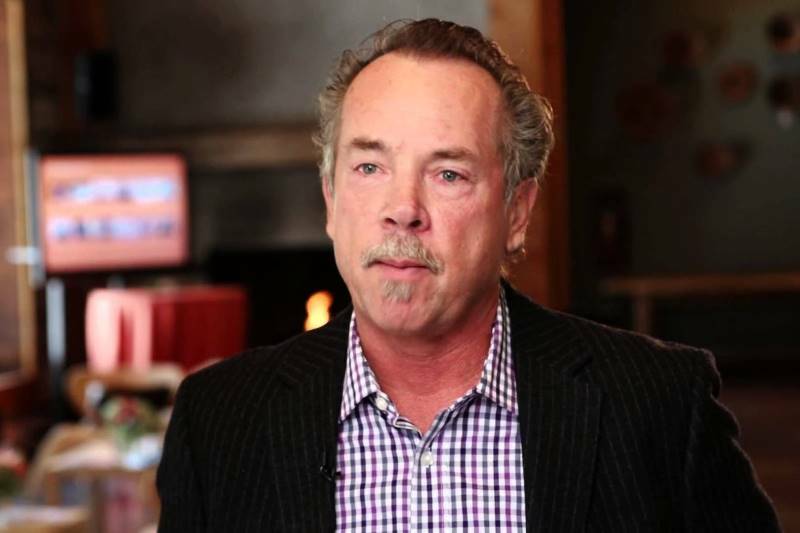 MoviePass has been in the news lately as a significant disruptor of the theatrical ecosystem. The service gives members access to one screening daily for a $9.95 monthly fee. In less than six months more than 1.5 million people have signed up. What piques Wall Street attention about MoviePass – besides the disruptor subscription business model – is the fact that CEO Mitch Lowe once was a senior executive at Netflix and is often credited with co-launching the streaming video behemoth. Lowe also once headed Redbox. Of course there is no official word from Netflix, considering many observers characterize the “news” as crazy. MoviePass pays theater operators full value for tickets used by subscribers. The service is now trying to extract revenue-share agreements with major chains as it has with about 1,000 independent screens. The company says it has driven significant attendance to theaters. Market observers contend MoviePass accounts for about 4% of foot traffic at AMC Theatres, the nation’s largest chain. Indeed, Netflix has a tortured history with theaters. It doesn’t much care for them. The service contends the 90-day theatrical window is archaic in today’s tech-savvy market with ubiquitous access. Netflix, which is planning to bow upwards of 80 feature movies through next year, makes original movies – such as the big-budget futuristic cop drama Bright – available globally for streaming concurrent with theatrical. As a result, theaters passed on the Will Smith- Joel Edgerton buddy film that reportedly generated 11 million streamings in the first 72 hours upon launch. Ditto for Okja, the $50 million Korean sci-fi drama and Cannes Film Festival nominee. Regardless, Wedbush Securities Michael Pachter says suggestion of Netflix’s interest in MoviePass is as much amusing as baffling. Author Erik GruenwedelPosted on January 30, 2018 January 30, 2018 Categories Digital, Financial, News, News Analysis, Streaming, TheatricalTags Mitch Lowe, MoviePass, Netflix4 Comments on Netflix Interested in MoviePass? Subscription theatrical ticket service MoviePass acquired the rights (with The Orchard) to art crime drama, American Animals, for $3 million at the Sundance Film Festival. The acquisition was done through MoviePass Ventures, the upstart subsidiary launched at Sundance to co-acquire movies and distribute through multiple channels, including packaged media, on-demand and streaming. 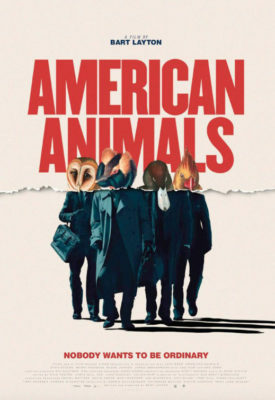 “I made this film to be watched in theaters and the fact that this incredibly impressive partnership and this innovative deal put so much emphasis on that is hugely exciting,” Animals director Bart Layton (“The Imposter”) told IndieWire.com. With more than 1.5 million subscribers, MoviePass continues on an aggressive push to disrupt the theatrical ticketing ecosystem with a subscription-based business model. Media reports suggest the service could reach 3 million subs by April. MoviePass just issued a regulatory offer for $400 million in future funding, and reportedly dropped select AMC Theatres in an effort to obtain better fiscal terms, including revenue sharing. Wedbush Securities analyst Michael Pachter believes the service – which pays exhibitors full price for tickets purchased – needs at least 2 million (infrequent moviegoers) subs to break even. Pachter says MoviePass has rev-share agreements with most (about 1,000) indie theaters – a situation it would like to replicate with national chains. That could be wishful thinking with AMC, whose CEO Adam Aron refuses to consider the concept. “AMC has absolutely no intention, I repeat no intention, of sharing any – I repeat, any, of our admissions revenue or our concessions revenue with MoviePass,” Aron said on the most-recent fiscal call. 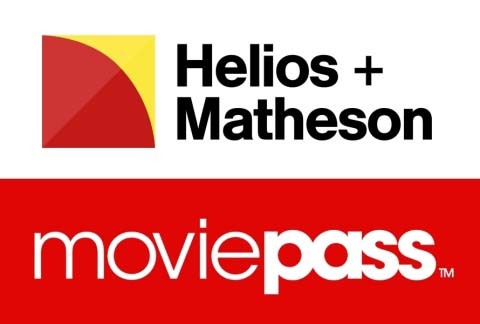 Subscription ticket service MoviePass and corporate parent Helios + Matheson Jan. 19 announced the launch of a subsidiary to co-acquire movies with distributors. The announcement was made at The Sundance Film Festival during MoviePass’ content series, “Off-Script: The Future of Film,” to a room of filmmakers, producers, directors, investors, distributors, and other industry executives. MoviePass says that through its business model it is purchasing about 3% of domestic box office. That percentage increases to more than 10% of a particular title’s domestic box office when it uses a series of levers within its app and marketing-based platform to impact a consumer’s selection of a particular independent film. It claimed upping by 10%+ box office performances of The Post, Three Billboards Outside of Ebbing, Missouri, Call Me By Your Name and The Shape of Water. 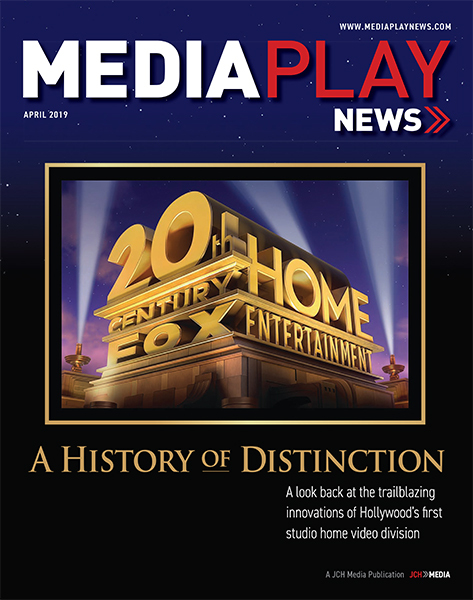 By boosting performance in the theatrical window, MoviePass said it is creating an annuity and benefiting from greater downstream revenues on all platforms, including theatrical, home entertainment, digital, physical, transactional (Blu-ray Disc, DVD, electronic sell-through and pay-per-view), in addition to network TV, cable, airlines and hotels, among other revenue streams. 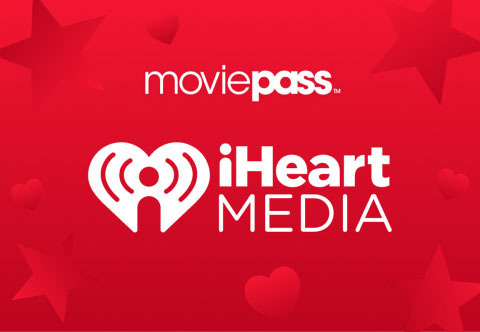 MoviePass, the subscription theatrical ticket service, has inked a media deal with iHeartMedia. The agreement affords New York-based MoviePass an extensive marketing campaign across iHeartMedia’s multiplatform network, including radio, digital, social and live events. With more than 1.5 million subscribers, $9.95 MoviePass eyes iHeartMedia helping target new subscribers, in addition to selling ads on its website and app. “We expect that this relationship will be beneficial to movie exhibitors, because we hope to drive more traffic into theaters and to advertisers through our strong working intelligence on the preferences and behaviors of a substantial number of movie-goers,” Mitch Lowe, CEO of MoviePass, said in a statement. Lowe said subscribers are going to twice as many movies as non-subs, including purchasing one in every 50 movie tickets sold in the U.S. The service claims movie theater attendance for participating exhibitors has increased more than 400% since the launch. Data iHeartMedia believes it can sell. NEWS ANALYSIS — In an age of over-the-top video, two services have emerged selling movie tickets via monthly subscription – a business model predicated on user indifference toward actually going to the movies. MoviePass, the New York-based service headed by Mitch Lowe, former CEO of Redbox, enables subs access to one theatrical movie per day for a flat $9.95 monthly fee. The service – majority owned by Wall Street investment firm Helios and Matheson Analytics – ended 2017 with 1 million subs (after dropping the original $29.99 price). It recently partnered with Costco selling $89.99 annual passes. The promotion includes access to indie film service Fandor.com. Cinemark, which operates nearly 6,000 screens in the United States and Latin America, last month launched Movie Club enabling members access to no more than two tickets monthly for a discounted $8.99 fee. The service allows users to roll over unused tickets and discounts on concessions – a significant perk and unavailable at MoviePass. Both MoviePass and Movie Club are targeting consumers who attend movie theaters infrequently. Indeed, audiences between the ages of 18 and 24 attended an average of 6.5 movies over the course of the year – more than any other age group, according to the Motion Picture Association of America. This data is key to the survival of both services, especially MoviePass, which pays theaters full price of any subscriber ticket admittance. In a sense, MoviePass and Movie Club operate like a gym membership, marketing loss-leader pricing to a wide spectrum of consumers, hoping only a small percentage of members actually use the service as advertised. For MoviePass to make a gross profit, on average each of its subs would have to visit the theater at most once a month. Two or more visits per month on average would drive significant losses for the company, at least until MoviePass is able to secure additional sources of revenue. 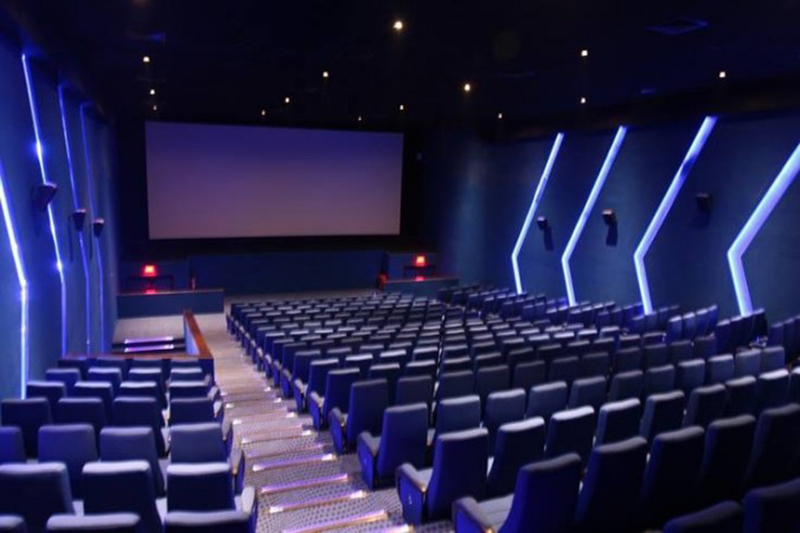 The platform has revenue-sharing agreements with select indie theaters, which comprise less than 6% of its tickets sold, according to Wedbush Securities’ Michael Pachter. 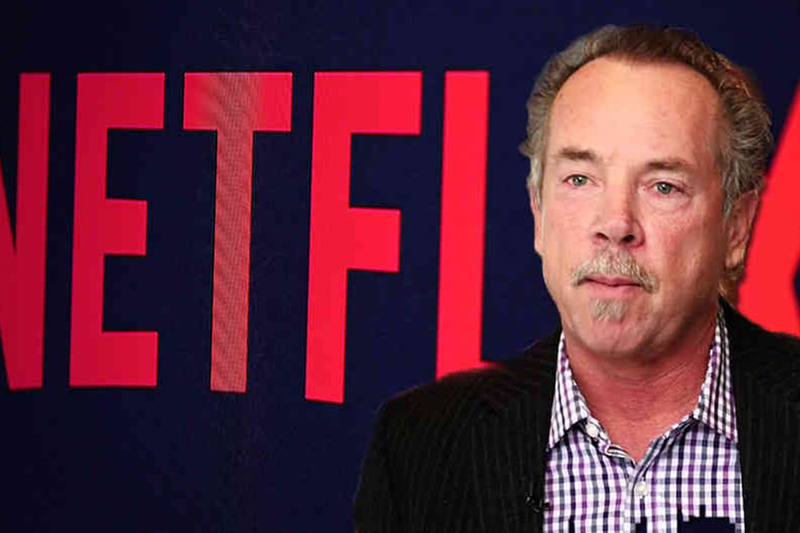 The analyst contends MoviePass would achieve less than 1% gross profit on 2 million subs and 20% rev/share with indies. By comparison, Pachter believes Movie Club’s exposure to Cinemark’s bottom line is more manageable. “We expect the net impact to be positive, with the magnitude dependent upon the program’s ultimate penetration,” he wrote. Movie-theater subscription service MoviePass and indie-film streaming service Fandor have extended their Movie Lovers Package offer at Costco post holidays. The package deal for both services is available to Costco members for a flat fee of $89.99 and non-Costco members for $89.99 plus a 5% surcharge, and covers a year of membership for both MoviePass and Fandor. The offer will only be available online at Costco.com until Jan. 10, 2018. Subscribers who sign up for the one-year subscriptions will receive digital codes providing instant access to Fandor’s library of more than 5,000 films, as well as a year’s worth of in-theater experiences through MoviePass. New members will need to enter each code on the respective MoviePass and Fandor websites in order to complete the sign-up process. MoviePass introduced its $9.95 per month subscription plan in August 2017, as part of a majority acquisition of MoviePass by Helios and Matheson Analytics Inc. Since the rollout of the $9.95-per-month plan, the MoviePass subscriber base has grown to more than 1 million subscribers in just 4 months, according to the company. Fandor streams a library of more than 5,000 handpicked, award-winning movies from around the world, according to the company. With more than 500 genres that include Hollywood classics, undiscovered gems, and the latest festival favorites, Fandor provides curated entertainment and original editorial content on desktop, iOS, Android, Roku, Apple TV, Chromecast, Amazon Prime, Sling TV, CenturyLink Stream, and throughout social media.